The days are colder. The nights are longer. Winter is here. For many Canadians, the winter months mean bundling up, shovelling show and hiding out in a hibernation-like state until spring. But it turns out that winter is the perfect time to put your brain to work – because your brain might actually work better when the temperature dips. According to Scientific American, people are better at making complex decisions in winter than in summer. When the weather is cold, people are able to weigh their options and make the best choice, “no matter how cognitively complex the decision may be.” When the weather is warmer, people are more likely to make the fastest, easiest decision – even if it’s not the best one. Some research suggests that the brain enters a kind of “eco mode” in the winter. It still performs all the tasks it needs to, but uses fewer resources to do so. While you’re staying warm inside, why not learn to play a musical instrument? Winter is the perfect time to pick up piano, guitar, ukulele or any other instrument that interests you. Research shows that playing a musical instrument increases memory and improves your patience and perseverance. And it’s never too late to start. A recent study found that adults between the ages of 60 and 85 who received individual piano lessons showed more robust gains in memory, verbal fluency, planning ability and other functions, compared to people who had not received lessons. Have you had to shovel snow yet this year? 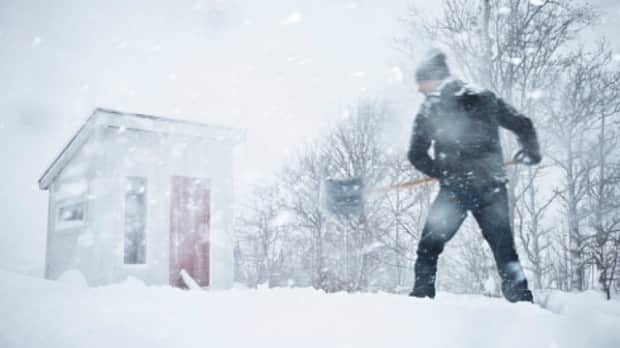 Though it may seem like a chore, shoveling is a great form of exercise. It involves repetition and heavy lifting, putting your muscles to work. And, even better? Scientists have discovered why exercise makes you smarter! It increases your energy, sharpens focus, enhances mood, helps impulse control and improves your memory. Next time a cold snap hits, invite your friends over for board games. You’ll stave off boredom and get a little bit smarter while you play. Chess, for instance, is a strategy board game that represents medieval warfare. When played often, the game can have positive effects on your brain and intelligence. The game not only allows you to use your logical smarts, but it exercises the left and right side of your brain, improves your memory and helps you think situations through. Playing a variety of challenging board games such as Scrabble, Tetris and Monopoly increases the neuroplasticity in your brain. This is the process of your brain rewiring itself and “forming new neural connections throughout life.” Many would agree, that’s a day well spent. The holiday season can mean lots of parties and potlucks. Feeling overwhelmed yet? Don’t be. Cooking is a great way to give your brain a workout. It combines creativity with logical smarts: between measuring with precision, making quick decisions and figuring out how to display your creation, you’ll be getting smarter with every second.